Hey everyone! It’s been a long time since I’ve done a vlog and today I want to share the inspiration behind the Seasons of Hope novella series that I’ve been working on. As of right now book 1 & 2 have been FREE (limited time) to subscribers, so if you haven’t subscribed to the Patched In newsletter, do it now and you’ll be receiving 2 more novellas for FREE this year. Right now both books, Hope Under Mistletoe and Just the Way You Are are available for purchase at Amazon. I say “know-vella” and I think up north it might be pronounced “nah-vella.” Well…I live near Memphis so it’s “know-vella.” Also, be aware, this is totally off the cuff, no retakes. Um…sorry? Not sorry. Okay, let’s chat about the inspiration behind the series. Get your coffee…settle in for just a few moments and let’s do this! 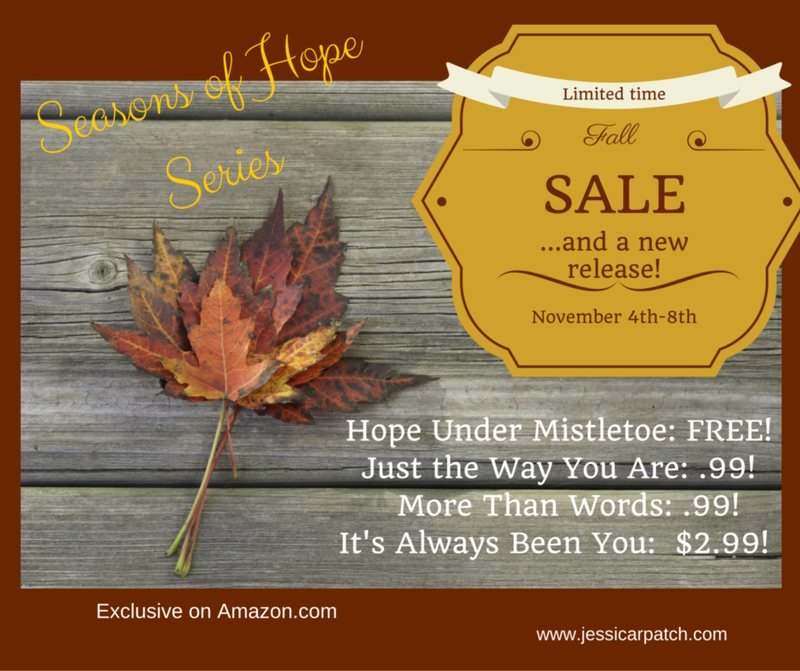 Posted in UncategorizedTagged #kindle, amazon, fiction, romance, seasons of hope, vlog3 Comments on It’s Been Awhile…Coffee with Jess A VLOG!